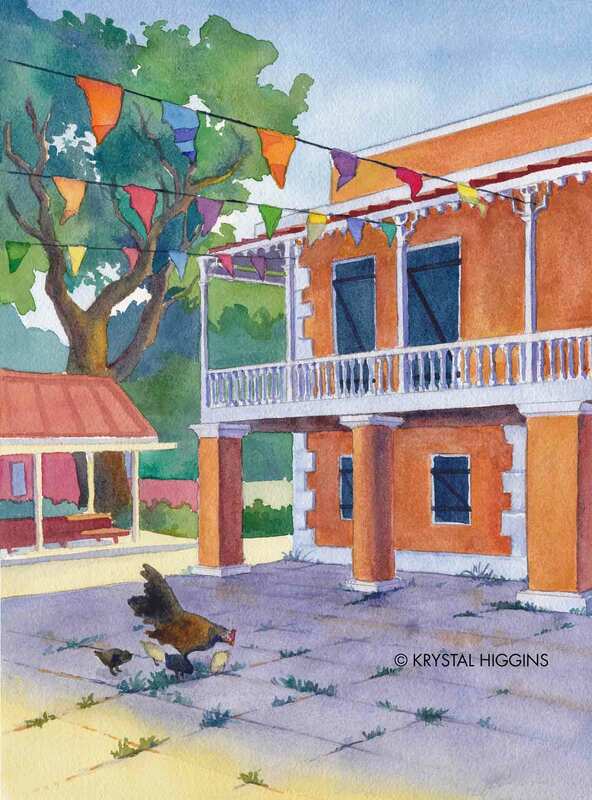 Frederiksted, or F-sted, is a lovely town on the island of Saint Croix. In the early morning, the city takes on bright hues as the sun rises over the buildings. Chickens stroll through quiet streets as residents awake. This watercolor painting attempts to capture the lazy, warm mood.